Leasing verses buying: What is the better financial decision? With large dollars and major tax implications hanging in the balance, farmers need to take the time to carefully weigh financing options for any and every acquisition of farm equipment. Whether you should lease or buy your next major farm purchase cannot be answered with a one-size-fits-all set of rules, says Rick Battistoni, chartered professional accountant, and a partner with MNP, a national accounting, tax and business consulting firm. Rather, he says, one’s financing decisions depend on your farm’s specific needs, priorities and financial reality. According to Statistics Canada’s Farm Input Price Index, the price of buildings rose 8.4 per cent and the price of machinery and motor vehicles increased 15.4 per cent between 2012 and the first quarter of 2017, due mostly to the low Canadian dollar. Alberta Agriculture and Forestry’s Statistics and Development Branch recently published more stark statistics. Showing that between July 2013 and July 2017, the price of a new air drill rose more than 30 per cent; the price of a new combine or new four-wheel drive tractor rose even more sharply, up 45 and 42 per cent respectively. 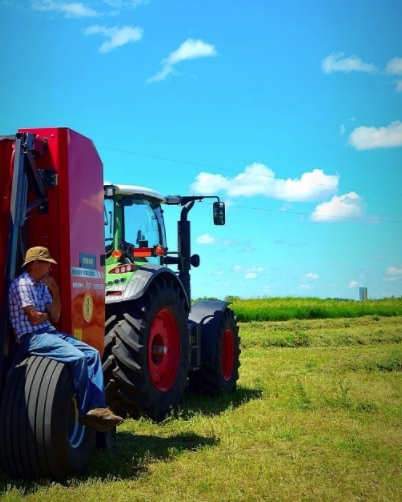 Given farming’s high and growing capital costs, the vast majority of farmers need to finance one way or another when acquiring new equipment. While the number of farmers opting to lease has risen sharply in the past handful of years, it remains far behind purchasing in popularity. Yet, depending on one’s situation, leasing may offer increased financing flexibility, less tie-up of capital and possibly more strategic taxation options. Generally speaking, assets that take a long time to depreciate tend to be the best ones to lease, whereas assets that depreciate quickly usually better suit buying outright or buying on credit. “In terms of the best bang for your leasing buck – vehicles are number four, equipment (without wheels) is number three, bins are number two, buildings are number one,” Battistoni says. That said, farmers should look first to cash flow rather than assuming all bin and building leases will capture good value. When considering leasing a high value acquisition, like a building, high lease payments may uncomfortably cramp your operating style, he points out. If this is the case for your farming operation, it may be better to buy outright and then stretch payments over a longer period. Leasing can offer increased cash flow flexibility. Rather than being tied to fixed monthly payments, as per a typical loan, a lease can be tailored to suit a farm’s unique financial situation and priorities. Some leases are structured for just one or two payment per year, allowing a farmer to better align payments with farming’s inconsistent income. Some lease arrangements even allow payments to change from year to year, some permit accelerated payments and others permit reduced payments upfront for a specified period of time to accommodate limited cash resources, other financial commitments, or projected revenue increases. Leasing’s flexibility extends beyond payment timing. Because leasing tends to occur outside of one’s balance sheet, it does not show up as a liability on a financial statement the way a loan would. As such, leasing can allow one greater borrowing freedom. While flexibility and access to capital are priorities for many farm businesses, the primary reason most farmers pursue leasing is tax management. Whereas 100 per cent of leasing costs paid throughout the year can be written off against a farm’s income, only half of the capital cost allowance (CCA) and interest can be written off in the year equipment is purchased, and only the full CCA and interest can be written off on purchased equipment in subsequent years. Since CCA changes based on asset, write-offs can vary widely based on what kind of equipment you choose to acquire. For example, a tractor, as a Class 10 asset, carries a 30 per cent CCA rate; an air seeder (Class 8) carries a 20 per cent rate; a grain bin (Class 6) carries a 10 per cent rate. Much of one’s ability to take advantage of tax savings comes down to timing. Usually, purchasing an asset late in the year will offer a larger tax write-off in the year of purchase than leasing. However, if that same equipment were purchased at the beginning of the year, the lease payment might offer greater short-term tax benefit than the CCA and interest. Overall, lease payments typically offer greater tax write-offs throughout the lease term than can be achieved through CCA write-offs. To deal with the timing of purchase, you can always front load lease payment to make a lease more attractive for tax purposes. Given the complexity of farm finances today, farmers should seek out advice and support of experts before plunging into a decision regarding leasing or buying. Talk to your accountant to ensure your priorities align with your financing options. And, work with a financing professional through your bank or equipment dealership to ensure your lease agreement is legal and suits Canada Revenue Agency (CRA) requirements. If you opt to lease through your neighbour rather than an authorized lender, what appears to be a lease may actually be, by CRA standards, a buy-out, cancelling any tax benefit. One final word of caution – farmers should always ensure any decision to lease is made for the right reasons.